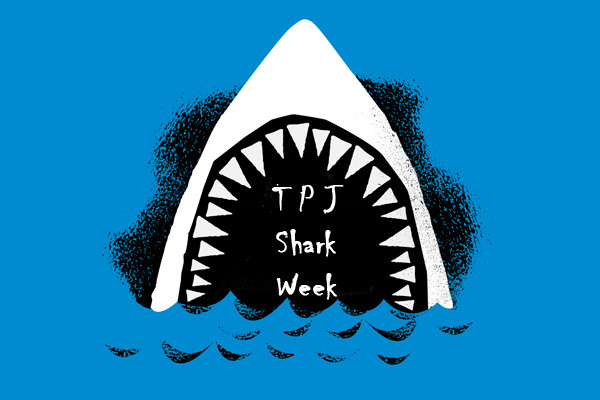 Texans For Public Justice: Shark Week Explores the Ties Between Perry and the Corporate Lobby. Texas leads the pack when it comes to public officials swimming through the "revolving door" and morphing into special-interest lobbyists. Nothing stops our lawmakers or the governor's staff and appointees from selling their connections to the highest bidder. Reformers have long tried to put the brakes on Texas' revolving door. TPJ takes a close look at Governor Perry's revolving door during Shark Week. Day One: Perry's Roomie Toomey Mobilizes the Corporate Lobby. Day Two: The Governor's Office Runs a Farm Team for Lobbyists. Day Three: Perry Appointees Morph Into Lobbyists.